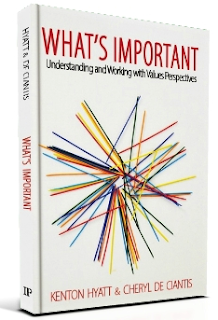 UNIVERSITE INTEGRALE: Fwd: Please help us launch our new book on values! Fwd: Please help us launch our new book on values! Our new book is out and our book website is live!! We would like your help to get it out there. There are a lot of ways you can do that, to whatever degree you are able and willing to do so. Our book is about how to understand human values. We all live by our values, and they drive what we do. Shared values attract us to people, institutions and things. Equally, we may feel repelled by those whose values we do not share. There are a lot of misconceptions about values, and a lot of argument, some of it heated as you are well aware. The purpose of our book is to take on values in a comprehensive, constructive, non-judgmental way and work to give the reader ways to understand their own values, the values of others; and to provide tools for doing something with that understanding in order to communicate better, influence more effectively, and reduce conflicts when they occur. We have found that, historically, the conversation about values has been bogged down in cultural bias that has resulted in many people being made to feel that their values are less-than the values of others. We have developed a theory and practice that aims to get past bias in order to reach toward comprehension, clarity, insight and renewed energy. Our work is supported by an online values survey we developed and have used for several years with individuals, in academic settings, and in business, in a wide variety of cultural contexts. 1. Visit our book website, scroll and click into different pages; read a blog – if you like it, let us know; if you have a suggestion for making it more user-friendly, let us know. 2. Subscribe to our website. 3. Like our Facebook page; What's Important. 4. Follow us on Twitter @IdentifyValues. 5. Buy the book at Amazon. If you do read the book, and we hope you will, review it on Amazon! 6. Share this message, or give us the names of people you think we should contact; whom you have good reason to think would welcome hearing about this work.